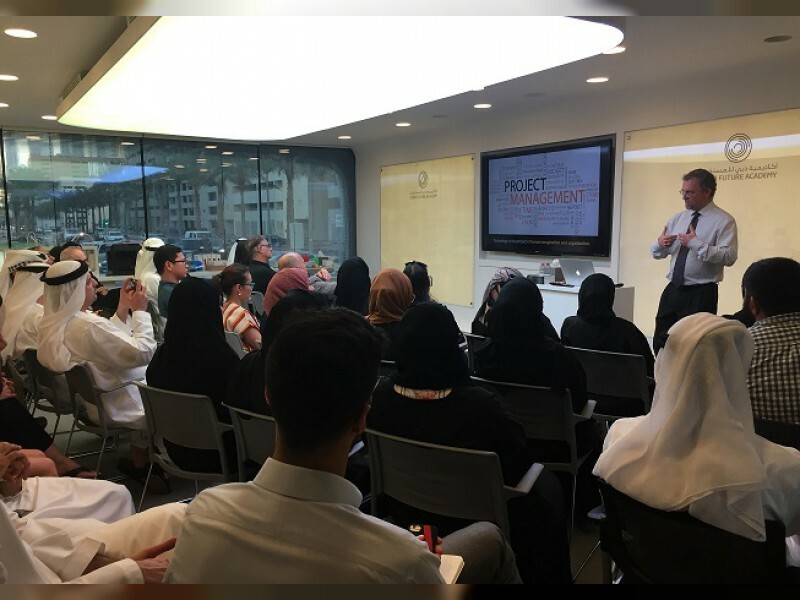 DUBAI, 6th August, 2018 (WAM) -- The Dubai Future Academy has organised a session entitled, "Future Design: Knowledge, technology and prosperity." The session highlighted the importance of reassessing the knowledge systems and tools adopted by individuals and organisations around the world, as well as the key attributes of societal value that individuals add to their communities by anticipating future challenges and finding effective solutions. This session is a continuation of the Pioneer Series initiative, organised by the Dubai Future Academy to share knowledge and provide participants with skills needed for the future. It also aims to raise awareness on the importance of future technologies and innovative initiatives. The session was led by Dr. Clark Miller, Associate Director for Faculty, School for the Future of Innovation in Society and Director of the Centre for Energy and Director of the Centre for Nanotechnology in Society at the Arizona State University, in the presence of students, entrepreneurs, professionals and those interested in the field of building the future. Dr. Miller stressed that investing in promoting new knowledge and techniques on a large scale is the route to a prosperous future for contemporary societies. Dr. Miller discussed two strategies for designing the future. The first strategy is based on the idea that knowledge has been created and not discovered, and that organisations must adopt a more ambitious strategy to design and organise knowledge systems that create and analyse ideas and decisions that create our future. The second strategy is based on the idea that technologies are more than just machines. During the session, Dr. Miller also discussed questions that motivated the attendees to redesign the ways they anticipate the future and find solutions to pressing challenges. The attendees shared their opinions and questions to enrich the discussion and make the session valuable and interactive. This supports the efforts of the Dubai Future Academy to be a point of contact among the pioneers of various sectors and members of society.